The charm of giving in to the conventional way of snacking is often irresistible. Who could possibly walk away from a box of French fries, all crispy and salty with tongue tingling ketchup slathered by the side? Or say, who could possibly tut-tut a box of donuts or waffles or burgers or fried chicken or a twinky or any others that could extend the list by a hundred pages. However, it does not take long for the outcomes of such irresistible feats to show in the form of additional adipose layered under one’s skin to an extent that the person appears no more than a happy lump of lard. Besides obesity, the otherwise irresistible forms of conventional snacking can also fall very heavily on health with heart related issues, blood related problems, joint problems etc taking precedence over associated hazards. Considering the fact that the present day socio economical issues have put ample in out plates already to deal with, inviting health issues to add glitter to the inventory is completely unnecessary. In this respect it would benefit to know that snacking is more psychological than an immediate biological need to satisfy hunger. Take a bowlful of mixed fruits like apples, peaches, pineapples, an assortment of berries, pears etc and add 2 table spoons of molten dark chocolate (with 70% cocoa or more) and enjoy! Just as tasty, twice as healthy and with 60% lesser calories to the entire treat, this is a swap that you will thank the heavens for. If you wish to alter the taste, all you have to do is change the options of fruits. 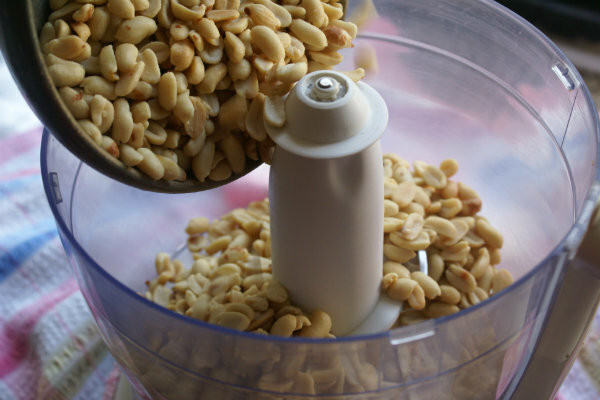 Take one small cupful of assorted nuts consisting mostly of roasted almonds, walnuts and cashew nuts and add a dash of chopped raisins to the mixture. Take 2 dried dates, chop them and add to the bowl. Enjoy a highly nutritious, filling and tasty snack that your brain and your body will thank you for. Replace ice creams with fruit-sickles. All you have to do is take a jug of fresh fruit juice, pour it out in ice trays, dunk little ice cream sticks to the individual slots and freeze. Enjoy a fresh, refreshing calorie considerate snack. As far as high calorie sugary carbonated drinks are concerned there is nothing at all that can replace a glass of fresh fruit juice. Sweet lime, fresh lemon, orange, grape, watermelon etc. are some that can beat the heat to perfection. Popcorn, flavored or otherwise – Swap with roasted peanuts, which is sure to replenish your body with nutrition while satiating your snacking urges successfully with no more than half a cupful.